While focus is often put on the death and funeral of a loved one, grief and pain can continue for months or years afterward. The anniversary of a death can be especially painful because it can bring the feelings of loss and heartache previously experienced right back to the present. Taking time to discuss your positive memories of your loved one is one way to cope with the anniversary of a beloved friend or family member's death. Grief is a long process and it can vary between people, so addressing the anniversary of a loved one's death with other friends or family members should involve caution. If the other person brings up the deceased first, you might mention any fond memories or ask how the other person is doing and feeling, according to the Everplans article, "How to Express Sympathy: What to Say and What Not to Say." If you are the one struggling, it can be helpful to find a caring friend who will be willing to just listen without judgement and who recognizes that trying to tell someone what to do or how to feel is counterproductive. Some families may hide all pictures of a late loved one during the grieving process -- but keeping items like pictures close can actually help the grief-stricken. Adults and children alike may find some comfort in creating scrapbooks, slideshows and videos of the deceased's life or in displaying favorite pictures of a late family member, according to the U.S. Department of Health and Human Services LifeCare Guide, "Helping Others Cope With Grief." Creating a collage of pictures or creating a memory box filled with pictures and small items that belonged to your relative can also be helpful as the anniversary of the death approaches, according to the PBS Kids article, "Dealing With Death: Get Creative." Focusing on the positive memories of the deceased can ease your pain as you feel connected to your loved one. Maybe your loved one always made dinner for the family on Sunday evenings, or Saturday mornings meant volunteering at a soup kitchen. Keeping these traditions alive with your family after a passing can help fill the holes left behind, according to the U.S. Department of Health and Human Services. On the anniversary of the death, you might honor -- and grieve -- for your loved one by baking her favorite dessert, sharing stories about her or playing her favorite music to acknowledge her influence and her impact on your life. Maybe your dad loved tulips and enjoyed gardening, or your cousin was known for her musical inclinations. 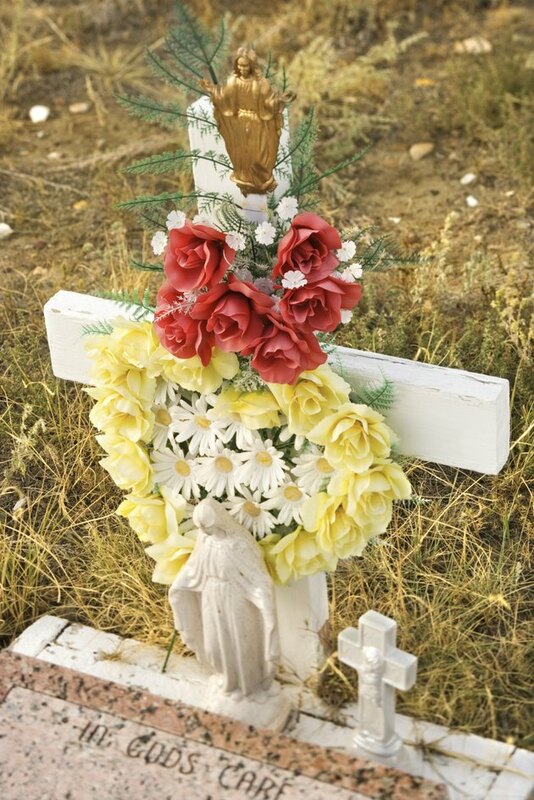 Leaving trinkets behind at the memorial or grave site, such as a bouquet of tulips or custom guitar picks, can bring comfort when the anniversary of a loved one's death comes around. Getting involved in a charity that your loved one worked for or showed interest in during life can also be beneficial. If you are religious, asking your religious order to hold a prayer in your loved one's memory during services may also help you cope with your grief.